When I surveyed the Michigan Road in 2008, I felt bad for little Kirklin, a town about 45 minutes north of Indianapolis. Except for its lovely Carnegie library, it was all but dead. Its run-down buildings, mostly vacant, said that Kirklin’s best days were long past. A page on my old site shows Kirklin as it was in 2008, plus some postcard images of it during its early-20th-century heyday. Click here to see. Kirklin was in a catch-22: there wasn’t enough to do there to make the drive worth it, but without people willing to make the drive it wasn’t worth adding anything more to do. And so I’m puzzled, as Kirklin has renovated most of its buildings and added a number of shops. 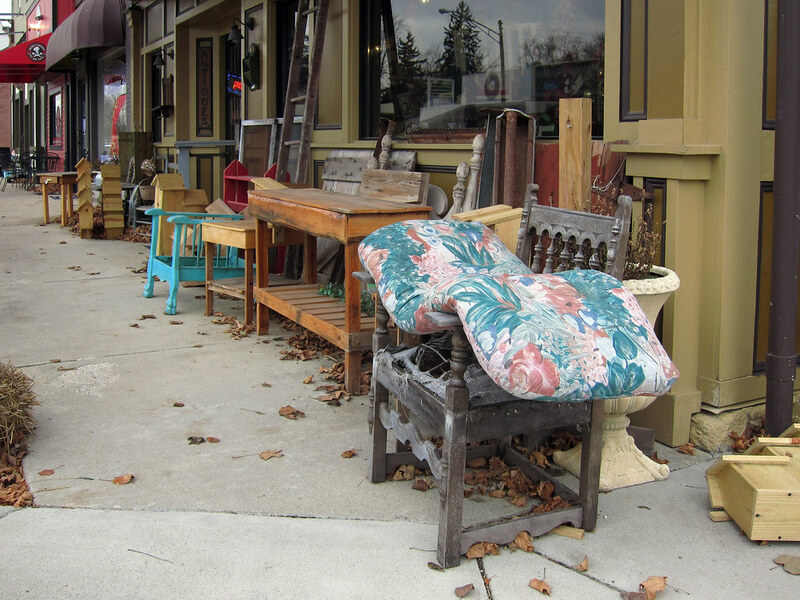 Most of those shops deal in antiques and knick-knacks, but it’s absolutely enough to make it worth the drive from Indy. My wife and I spent a couple pleasant hours browsing here. We met several of the shop owners, who engaged us in very pleasant conversation. We even bought a few things. Here, have a look at Kirklin today. 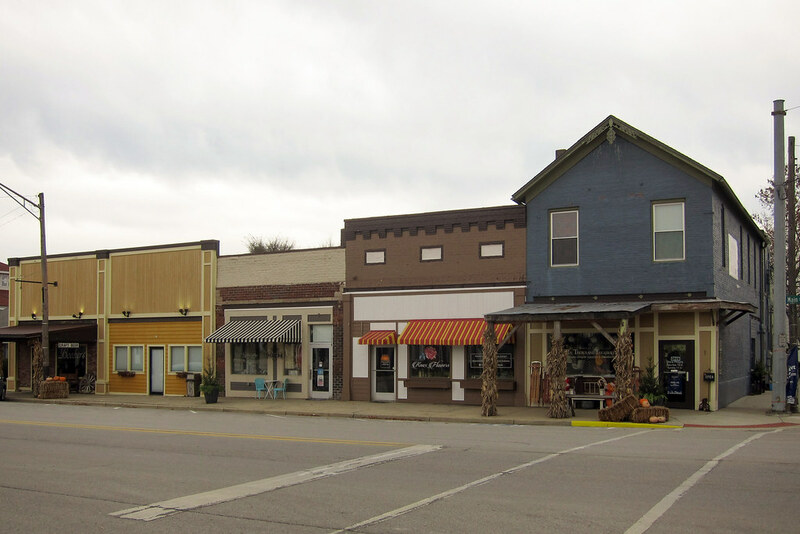 It would be lovely if Michigantown and Burlington, two neighboring Michigan Road towns directly north, could find this same level of revitalization. It would make a lovely “antique alley,” a one-tank trip and a very pleasant day. 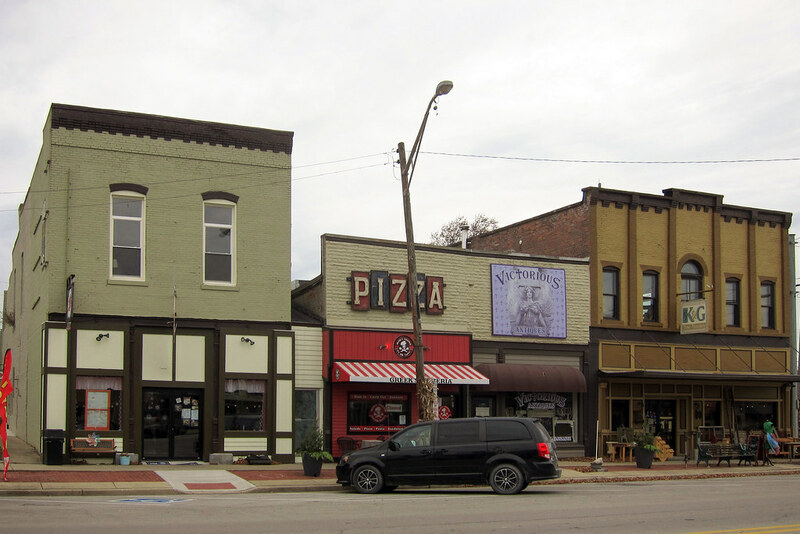 Travelers could start in Logansport and end for dinner in northwest Indianapolis, or start in Indianapolis and take their meal in Logansport. Read all of my missives from the road! Click here to subscribe. It seems to me that the Mrs and I drove through Kirklin at least once during one of our experimental routes to Lafayette. Although it would have been within the last two years, I have no memory of the place. It’s easy to just pass through without noticing it. There’s a part of me that would love to retire to a little town like Kirklin. Never been to SD! One day. High Street in my home town looks something like this, though many of the buildings are made of brown brick and the others are painted in bright colours. It was dead for a while, and the Co-op and the video shop disappeared. Even the cinema shut down for a while. Now it seems to have come back to life a bit. The cinema is open, there’s a coffee shop with an art gallery in the back, the pharmacy is now old enough to have some ‘history-cred’ (that’s what people say these days, right? ), and there’s a market on Saturday mornings. These photos look like they are from a digital camera. How do you decide if you are going to use a film or a digital camera for a trip? Is it just a whim, or does it depend on something like light conditions? I usually pick up a film camera when I feel sick of computers. Or just for the simple desire to see a film photograph. 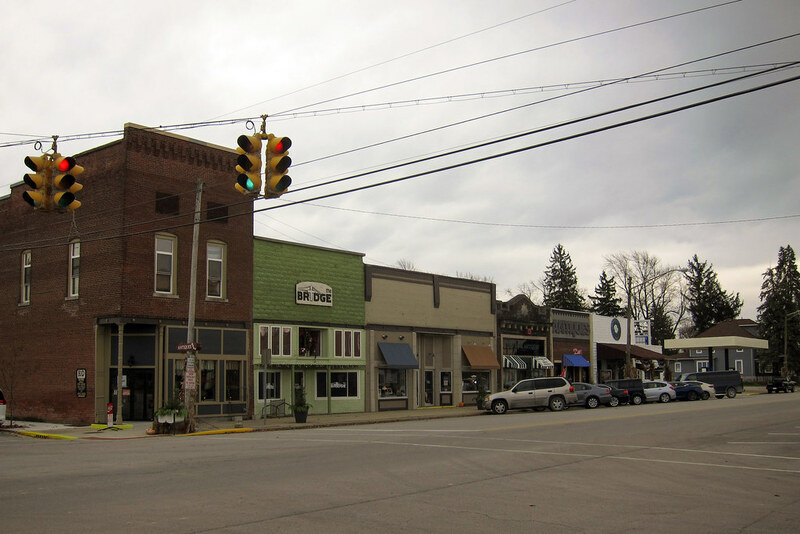 Most Indiana small towns are dead or nearly dead. If you don’t live in one of the major cities, or near one, you’re on life support at best. You can always tell what camera(s) I used in a post by looking at the post tags. This is something I’ve recently started doing. I’m slowly going back and adding camera tags to old posts too. I want readers to be able to click the camera tag and see everything I’ve posted from that camera. When I take a road trip my main camera is always digital, because I want to take lots of photos and digital is the economical way to do that. Also, my Canon S95 is a super easy travel companion. 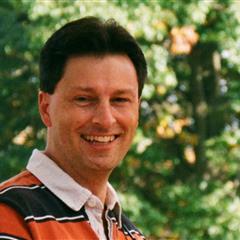 I choose digital otherwise when I just want easy shooting and no waiting for my images to come back from the processor.